Type 1 diabetes is a long-term and complex medical condition that requires daily adjustments, including the self-monitoring of blood glucose levels and the administering of insulin injections (Lloyd and Barnard 2012). The National Institute for Health and Care Excellence (NICE) guidelines state that all children and young adults with type 1 diabetes should be given psychosocial support to help them cope with the diagnosis and life-long illness, placing an emphasis on cognitive behavioural therapies (CBTs) (NICE 2015). The focus of undergoing CBT is to change the way individuals think and behave towards issues, through methods such as cognitive restructuring, problem solving and social skills training (Frydenberg and Brandon 2007). The purpose of this literature review was to determine if CBT interventions improve psychosocial well-being, self-management and glycaemic control in young people with type 1 diabetes. Five randomised controlled trials (RCTs) were identified in a systematic search. 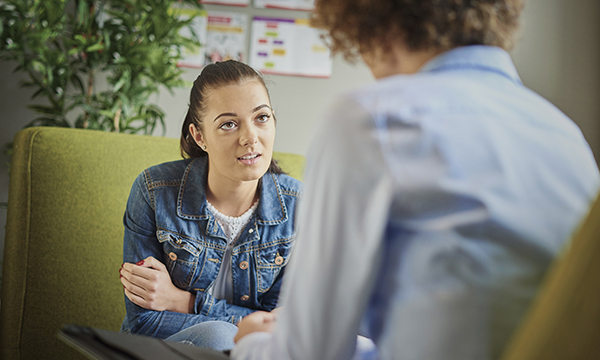 Each trial explored the efficacy of CBT interventions in young people against or combined with other supportive interventions, such as intensified diabetes management or as an alternative to standard diabetes care. All of the CBT interventions included in the studies were concluded as more beneficial than standard diabetes care. Most of the trials resulted in significant improvements in one or more psychosocial outcomes. Such outcomes included self-efficacy, coping skills, quality of life and depressive symptoms. However, most interventions had little effect on improving glycaemic control, with positive results being present in those with the poorest glycaemic control only. The intervention that showed most promise was a combination of coping skills training and intensive diabetes management, leading to improvements in glycaemic control and psychosocial outcomes (Grey et al 2000). Few RCT studies have been conducted with children and adolescents with type 1 diabetes. The search was limited to retrieve RCT studies so that the efficacy of CBT type interventions for young people with type 1 diabetes could be reviewed. Finding papers that matched the focus of the review and related inclusion and exclusion criteria proved difficult, hence the need to explore multiple databases and to include the hand-searching of a dominant practice-related journal. Having specific search criteria that included a contemporary practice focus limited the search date range to the past 17 years. This meant that there was not a high return of relevant studies. However, such focused criteria was needed to find articles relevant to diabetes practice and care and therefore relevant to adolescents with type 1 diabetes. This review determined that CBT-type interventions can improve psychosocial well-being and related self-management in children and young people. For those with the poorest glycaemic control, a CBT intervention alongside intensive diabetes management is beneficial. Improvements in psychosocial well-being are directly linked to better diabetes outcomes, especially in those with the poorest control. Therefore, psychological support needs to be widely available in standard diabetes care for children and young people. The most effective CBT interventions need to be used more in practice and healthcare professionals need additional training to provide the ongoing emotional and psychological support that children and young people need to improve their diabetes self-management. Further research is needed to explore what other psychosocial interventions could improve glycaemic control and psychosocial outcomes for young people. A cost benefit and longitudinal analysis of supportive interventions and outcomes would also be beneficial. Frydenberg E, Brandon CM (2007) The best of coping: facilitators guide. Oz Child, Melbourne, Australia. Grey M, Boland EA, Davidson M et al (2000). Coping skills training for youth with diabetes mellitus has long-lasting effects on metabolic control and quality of life. Journal of Pediatrics. 137, 1, 107-13. Lloyd CE, Barnard KD (2012) Psychology and diabetes care: a practical guide. Springer, London. National Institute for Health and Care Excellence (2015) Diabetes (type 1 and type 2) in children and young people: diagnosis and management. NG18. London.